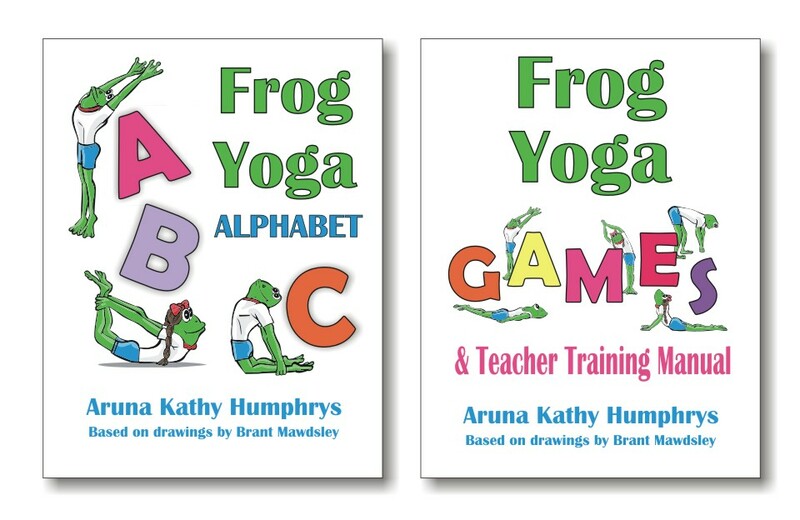 This week’s story about teaching kids yoga is from a 30 minute daycare class I teach to a junior school-age group (ages 5 – 7 years old). This class has an even mix of boys and girls. A few of the children also play other sports and are very active and there are a few children who don’t exercise much. So it’s a typical school class nowadays. Let me get back to the story in a second and pass on a teacher training tip. One job of each kids yoga teacher is to get to know each class and their unique personality. At first thought, you may think kids are kids. But I’ve found that each class has their own favorites, style, and cast of characters. So back to the story, I had got to know that this kids yoga class liked to be pushed. The leaders in this class liked a challenge. I observed one boy, who a lot of the kids look up to, he encourage everyone to throw in few extra sit ups during a break, rather than resting. The others followed along. Seeing this, I decided to ramp up the class, increasing the times we held our yoga poses and giving them more challenging exercises. They liked it! So in the next few classes I started teaching this class some Kundalini Yoga Kriyas – the same sequences that I teach to adults. They liked it more. Can Kids Do Adult Yoga – Yes Some Can! These kids were doing some hard sets. For instance, we did one series with 18 exercises in it. We had 15 kids and 3 teachers in the class that day, so we went around the circle and everyone led one of the 18 poses. They were absolutely spent at the end of the 30 minutes, calm and rested. In another kriya of 9 exercises (I found the complete Kriya posted online here) , everyone sits in easy pose, raising your arms behind your head and holding opposite elbows, then bowing your head to the ground and straightening back up. The kriya prescribes 5 1/2 minutes of this movement, but we didn’t have that much time, so I challenged them to do 108 reps. They went for it! Sure, some said, “No way!” at first, but as they counted up to number 80, they were motivated to finish. Most kids did all 108 repetitions. It’s a great experience to learn about how we limit ourselves with out beliefs, thinking we can’t do something, then realizing we actually can do it. The next class I planned, I had the feeling that I was pushing them too much. I didn’t want to forget the fun. But I also didn’t want to mess with something that was working, so I thought twice, and picked another challenging yoga set to do. When I arrived at the class. One girl came up and asked for a game. Another asked for dancing, and another wanted to do something with an Easter/Spring theme. Aha! The cry for creativity. The cry of the heart. The cry of your Consciousness! What’s the point of all the challenges if we are not listening to what the heart wants? I decided to forget the lesson plan and go with the flow. We started with a freeze dance (I use a version by Christopher Carbone) – they danced like there was no tomorrow. Namaste! Songs, Yoga & Meditations for Young Yogis! Then we played a Creativity game. Everyone was encouraged to be as creative as they could and come up with their own ideas. We started in easy pose with eyes closed, then I said a word. Keeping their eyes closed the kids would make up a yoga pose for that word. Then on the count of three everyone would open their eyes and see what all the poses looked like. I think I called out about 8 or 10 words. The ones I remember were: egg, meatball, star, earth, rich, poor, happy. The results ranged from expected to ridiculous – but everyone enjoyed it so much they didn’t want it to end. Then we played one of the kids favorite songs from Snatam Kaur’s Feeling Good TodayCD called I am the Light of My Soul. Again everyone was encouraged to make up their own moves and simultaneously move as a group and we will see how it feels and what happens. It calls for creativity, spontaneity and detachment. It is fun to have a challenge but every once in a while we must be creative. We must listen to the call of the heart, which is our Consciousness. Try it and see how it works with your kids. You too! I know your Radiant Child Yoga training in Toronto will inspire. Sat nam 🙂 I love that Creativity quote! Keep inspiring!